One of the first signs that you need a new furnace has to do with repairs. So, ask yourself now: In the last couple of years, have you been calling the repairmen more often? How dramatically has this number increased in the last year? When your furnace is starting fade, you’ll notice that it needs more repairs to run properly. After a certain point, it will start to require new parts, replacement pieces, and so on. Unfortunately, you can pour an awful lot of money down the drain by repairing your furnace over and over again. More repairs equal more money. 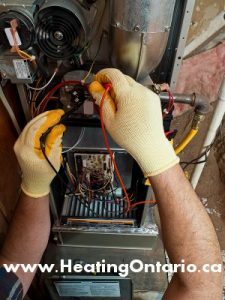 This is why when you find that your current furnace needs more repairs to work efficiently, it is time to start thinking about a new model. When it’s time for a new furnace, it’s not just repairs that cost you money. In fact, your energy bill is also affected. Over time, furnaces become less efficient – especially if proper maintenance has not been performed on the unit. Once your furnace can no longer work efficiently, it will need to use more energy in order to heat your home properly. This can really bump up your energy bill! If you’ve noticed that your bill has been steadily rising, it may be time to look into your furnace installation options. Every home has a few strange noises now and then. It could be from your refrigerator or even the house settling. However, if you start hearing any banging, rattling, or popping sounds coming from your basement – be aware. All of these noises may indicate that it’s time for a furnace replacement. When a furnace starts to wear down, it may start to make noises or the blower fan may even stay on all the time. The best thing to do is take note and call in a professional heating specialist from Heating Ontario as soon as possible. We all want a clean home…but when you need a new furnace, it can be more difficult to keep your home spotless. Why? When a furnace isn’t working well, it can lead to a build up of dust, dirt and other contaminants inside the unit and in the associated ducts. These contaminants are then pushed out into the air, where they can settle on surfaces. This can very quickly lead to a build-up of dust! When you find yourself needing to dust and clean more frequently, it may be time to get your furnace checked out. When it comes to your furnace, age matters. You can’t expect it to run forever! While the lifespan of a furnace varies, the standard rule of thumb is ten years. After your furnace reaches the age of ten, you will start to notice many of the above signs of wear. Keep in mind that some furnaces last for much longer while others don’t last nearly that long. It all depends on a little bit of luck – and how well your furnace is maintained. If you’re concerned about the age of your furnace, an inspection of your unit may be a good idea. Eventually your furnace will need to be replaced. By paying attention to the 5 ways to tell that you need a new furnace, you can avoid a complete breakdown of your heating system. So, pay attention…it will benefit you in the long run.